I’ve been having another play with my Tinkering with Steampunk CD from My Craft Studio and I have made a book with my Bind it All to hold my Zentangle Pattern steps. I painted some thick card (the packaging my Martha Stewart board came in) with black acrylic paint, once that was dry I added gold paint with a fairly dry brush to give it the antique look. I printed off some paper from the CD and made up the rosette with it and the tag is also from the CD. Next I made a valentines card for hubby (its ok he doesn’t read my blog) This was pretty much a print – cut out and stick, all I added was some Kraft card and some tickets made using the Kanban stamps. Wow, 2 things in 2 days, I must be on a roll! I made a card for the Squiggle Stamps challenge of thanks. I don’t normally do cards of this style but I really like how it came out. I used a doily that my good friend Gina sent me a good while ago now. I stamped and coloured the image with Distress ink, then used a rossette from another MCS CD that I have. I made the rose with Tim Holtz’s Tattered Florals die using one of the backgrounds from the CD which I inked and then spritzed with glimmer mist. The tag and frame are from the CD and I added the quote, then glued some watch parts onto the image. Really simple to create but I am SO pleased with the results that I may even make myself a new one, I can see me using this disc quite a bit in the near future. 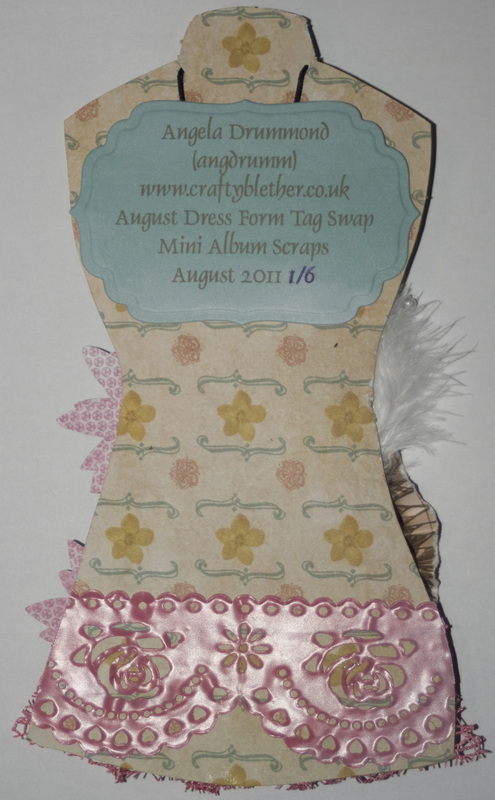 I have recently joined a site called Mini Album Scraps where they do some really great swaps of tags, charms, mini albums and a whole heap more, head on over to have a look. I had a great time making this dress form tag for the swap this month, the theme was Shabby Chic. I made a phone charm “necklace” for each tag so that it could be used by the girls that receive them. 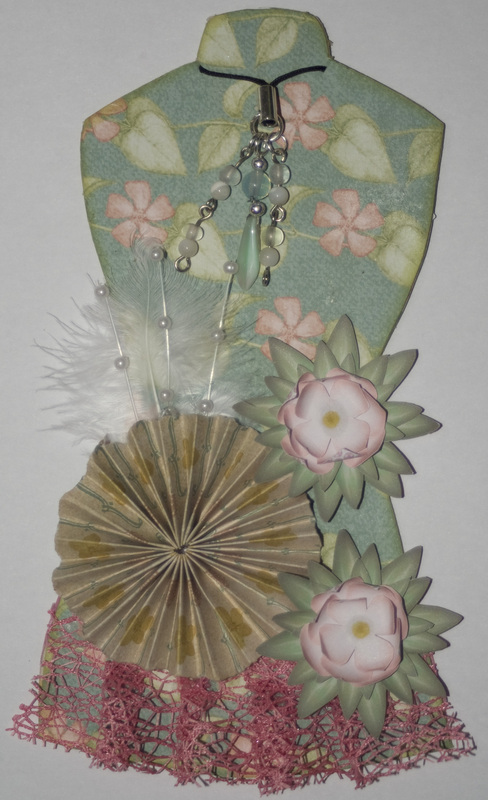 I used paper from a digital scrapbook collection by Gina called Sisters and Friends to cover the front and back and to make the rosette, the flowers come from My Craft Studio’s Paper Flower Expert CD and the charms, ribbon and sticky ribbon came from Cullen Crafts. I cut the label for the back using my Nesties.